A CLEAN CAR WITH VERY GOOD MILES FOR THE AGE. ALL WHEEL DRIVE IS READY FOR THE SNOW. DARK METALLIC BLUE WITH NEUTRAL LEATHER. COME SEE IT TODAY. 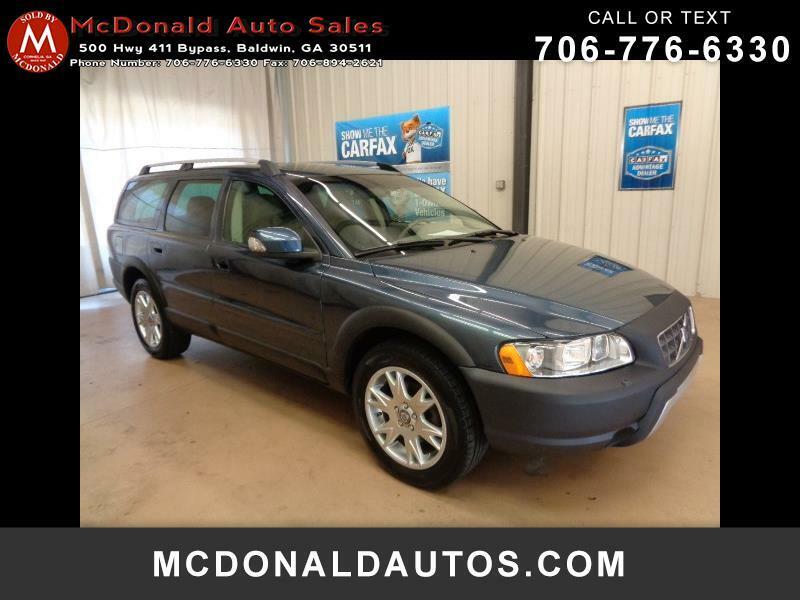 Visit McDonald Auto Sales online at mcdonaldautos.com to see more pictures of this vehicle or call us at 706-776-6330 today to schedule your test drive. Message: Thought you might be interested in this 2007 Volvo XC70.